Every detail counts for perfect live sound. 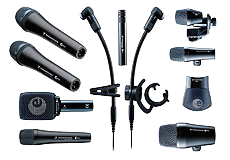 Take the evolution wired 900 series: conceived of as a harmonically calibrated family, these high-end microphones combine demanding sound with unmatched reliability. Uncompromising stage equipment for uncompromising professionals.